The idea of fleeting glimpses first occurred to me back in the autumn 2003, when I finally fulfilled my dream to make it over to Aotearoa New Zealand. I travelled by bus and train extensively around the North and the South Islands, and took lots of photos through the windows when I was not walking around. 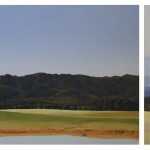 The exhibition included the prints of some of the first paintings I did as a result of that trip – Rain, Arthur’s Pass, Tongariro and glacier – as reference points for the beginning of it all. Not surprisingly, the concept of fleeting glimpses relates not just to quick views of landscapes through bus or train windows, but to the fragile state of the world as a direct result of human activity, and the fact that so much is disappearing before our eyes, on our watch. The most obvious example of this is melting glaciers. The original painting of glacier is on two deep canvases, the proportion of ice blocks, so I used the sides to drip the paint down to indicate melting ice. When I revisited Aotearoa New Zealand again in 2016 I was distressed to learn that the Franz Josef Glacier, the glacier depicted in the painting, has receded so much that it is no longer possible to walk up it as I did. Now, the best way to see it is by helicopter, so not only are greenhouse gases on the increase thanks to the fuel needed for the helicopters and other similar activities but the area is polluted by the noise of these machines as they take tourists up to the top multiple times a day. The work in the exhibition was divided up into three spaces. Room 1 showed images from Australia, Room 2 images from Aotearoa NZ and the hallway, a mix of both. 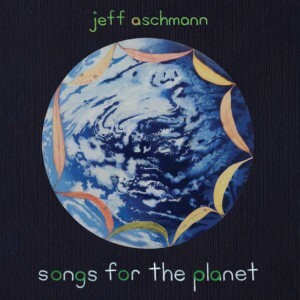 Jeff Aschmann’s new CD, which was launched by Bob Brown on Tuesday May 24 in Moruya in the presence of about 200 people. Here is the link to the 24 page booklet accompanying the CD with all the lyrics etc. 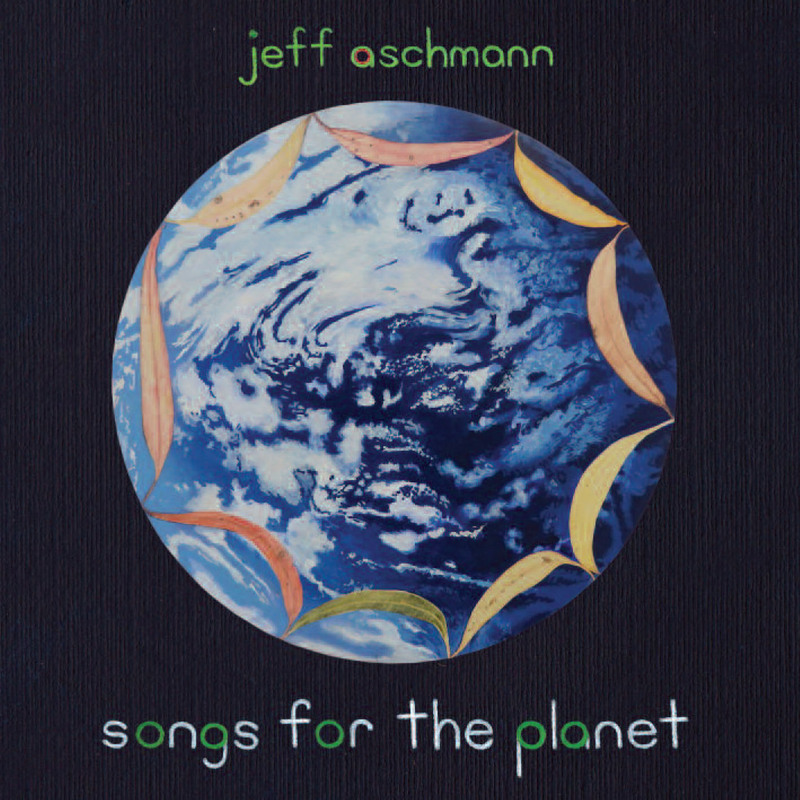 You can also find details about how to contact Jeff to secure a copy. or frail earth, sucked dry by man’s naked greed? intent on a new and gentler existence? The 2015 Two Fires Festival included an exhibition called Deadly Friends, and I was one of three non-Indigenous artists participating. When I was asked to be in this exhibition, the first thing I did was to read A Human Pattern, an anthology of Judith Wright’s poems that Judith herself had selected, a copy of which she gave me after I painted her portrait in 1991. As I read through the poems, I collected words – everything from nouns to articles and pronouns – with a view to writing a poem of my own. The words I chose were a reflection of the way/s I was feeling at the time, and when I finished the book I wrote the poem. With this year the centenary of her birth, I decided to make it 100 words in length. When the poem was completed, the day I finished the book, the painting began, and the works in the exhibition, along with the words and poem, were my response. My installation was completed at the opening, when I read the poem and then put it with the words and rest of the artwork in its corner at Altenburg and Co. Photos of the full installation will be here soon. The artist’s book Life in the catchment, which can be viewed here in full, was produced for the exhibition that was part of the 2011 Two Fires Festival of Arts and Activism. The edition is limited to 25 copies and is printed to order on Canson paper, with the slip cover on Hahnemühle. I bind it with Irish linen thread, and each copy is signed and includes an original paper-cut on the colophon page derived from the paper-cut image in the body of the book. The colophon page paper-cut is not shown in this online version. See also the gallery page of this site for some of the drawn, painted and cut illustrations.